Hello folks, I hope life is treating you well, playing time has been scarce, so I haven’t been around as much I’d like, but since I did manage to complete a game two days ago, an update is in order. Despite owning the game for a while, I held on playing it until I am done with reading the comics up to Issue 126, then proceed to play “The Walking Dead: Michonne” to get the full experience, I was going for a more complete and cohesive narrative, that was the plan at least. The thing is, my reading have been very slow and then I thought : “screw this ..”, I had an urge to play the game and continue my story. I keep trying not to fool myself into waiting for that ‘perfect’ time to do something, because it may never come, I learnt this much from life. Now it’s really hard to talk about story-driven games in any significant way without revealing too much about the plot, but I’ll try. As you’d expect, The Walking Dead: New Frontier is a mature and extremely violent game, rendered in Telltale’s lovely shaded comic style, the voice acting, sound effects and music are top notch, the sound serves well to reinforce immersion and enhance the story. I was struck by how short it is, you barely get a feel of the characters, and the end credits for the first two episodes already start rolling, other episodes are a bit longer, but not by much. Finished this in two sittings, about 8 hours in total, nearly three times less than what it took me to complete “The Walking Dead : First Season” (26 Hours) and still much less than Season 02 (14 hours). I am glad I only buy/play episodic games when the full package is released, otherwise this would have been far more aggravating. The amount of twists and events within the game kept me interested throughout most of its playtime, there is no filler here, but the pacing still felt off to be honest, the phases where you move around and get to know and talk to other characters, building up your relationships in the process, are mostly gone which is a shame, not only it allowed you to get attached to the characters, but it was also a nice break from crisis events and emergencies. I know it’s supposed to be the apocalypse and all, but in this game, all hell seems to break loose at every step you take, which is unrealistic and can only be seen as bad design/writing. Puzzles are few and far between, freedom of exploration (what little existed in the earlier games) is non-existent this time, the transition between Season 02 and 03 is handled through flashbacks, clever from Telltale, but the timing wasn’t always right, by the time half of the game has passed, there should be no ambiguities left about what transpired between the two games, it would have been best to keep those to the introductory chapter. 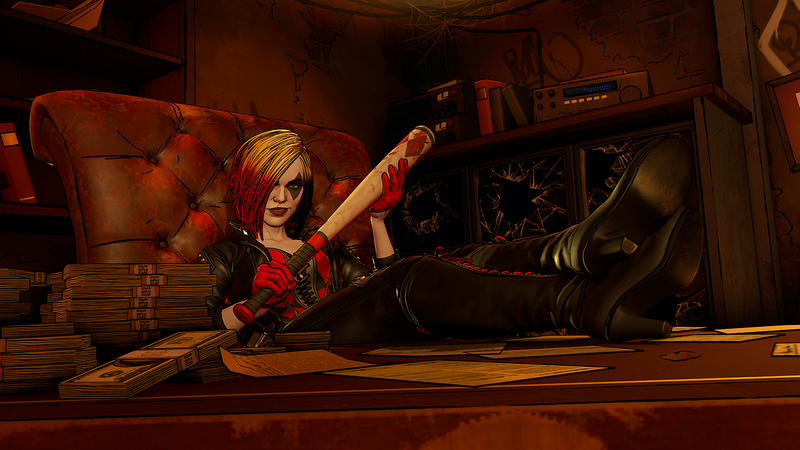 Also disappointed that we don’t get to meet familiar faces from earlier games either, other than Clementine that is. The inclusion of Jesus was a bright idea, very cool character, the series could really use more fan service by having characters from the show/comics make an appearance. I enjoyed the game overall and I still recommend it, but I can’t help but feel the sequel is lacking in comparison with its predecessors. Notwithstanding some of its shortcomings, the ending still felt satisfying and choices are more meaningful and impactful this time around, so I don’t regret buying this on sale and I am glad I got this off my backlog, now let’s just hope they right the ship with the last Season and give us a game that is at least equal to the 2 nd one in quality, they owe their loyal customers this much at least. Hello fellow gamers, completists and perfectionists, I am new around here and this is my first post, still trying to get my head around how things work. This seems like a fun and friendly community, so I am happy to be on board! 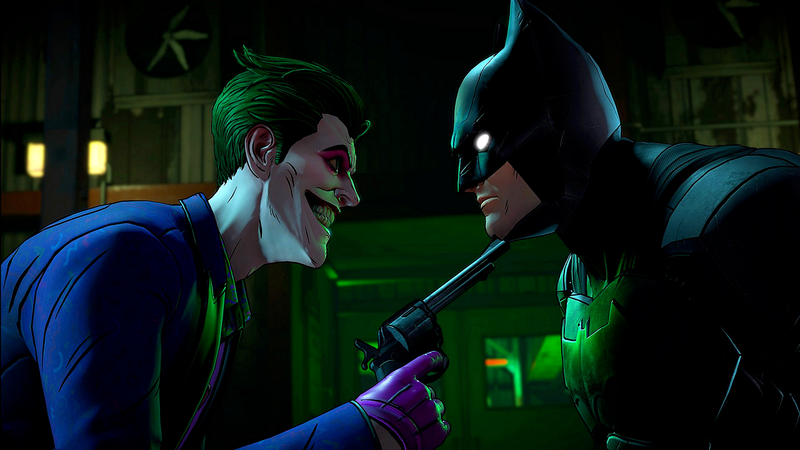 As with many Telltale games, it features a mature, complex and morally grey storyline, so it’s not your usual comic-book routine of “good versus evil”. There will be a lot of instances when you’ll be torn between standing with one character or another, you’ll have to make several, hard and impactful decisions in the heat of the moment, some of which you may come to regret later, but that’s all part of the fun. Batman : The Enemy Within, picks up right where the first season left off, including the option to resume your romantic relationship with Selina Kyle, aka Catwoman, along the way, if you had romanced her in the first game. Without spoiling the story too much, the game have you infiltrate, as Bruce Wayne, a large and colorful cast of iconic villains circle known as “The Pact”, you’ll have to earn their trust, and this entails morally ambiguous situations when you have to walk on a very thin line. I keep hearing a lot of criticism about the engine and how dated it is, but the game looks gorgeous, the dark, Comic-Book/Cel Shading style is lovely and very fitting for the game. The characters look very close and faithful to their counterparts in the source material from which they’ve been adapted, backgrounds feature a lot of detail and reinforce immersion and atmosphere. The voice acting is also top notch, as you’d come to expect. As for the gameplay, it doesn’t evolve in comparison with the first game, it’s much of the same, with dialogues, detective/investigation phases and easy, rather forgiving action/QTE sequences. On the negative side and unless I missed something, there’s no “rewind” feature and if there’s a choice you’d like to change and the game has moved on (auto-save) to another point in the story, you’ll have to restart the whole episode. I had to replay “Episode 3” from the beginning to change a choice I made at the end of it, hence my playthrough is a bit longer than average, since there was no option to select Chapters and restart from there. Anyway, it was a very enjoyable experience and I am looking forward to play and discover other story-focused games with narratives driven by player.